Note: Northern Kentucky University (NKU) has recently been through a transition of monumental importance. Long time innovator and dreamer, former President James Votruba, retired as the university’s president. Current President Geoffrey Mearns has joined an incredible faculty and staff at my Alma Mater and sent a note asking recipients to answer the 5 questions below. As an advocate for the university, it’s alumni, and the community which it serves I felt compelled to answer the questions to the best of my ability, but I also felt compelled to share my answers with those who may feel compelled to read. Below is my full response to his note. 1. What are the distinctive attributes of NKU? A) We are young! We are still developing our own sense of self and have the opportunity to create a community that is distinctive. Be brave and bold about charting a course that is different from that of other large universities in this region. B) We have incredible access to a top tier business community in the Greater Cincinnati region which harbors several Fortune 500 Companies, several top ranked start-up incubators and start-up/business investment firms. C) Geography! We are ~5 miles from the river and three historic communities in Covington, Newport and Cincinnati. We are within a 10 minute drive to horse farms and wineries AND metropolitan niceties. We are just a stones throw from one of the most important Interstate systems in the country. We are part of the Golden Triangle in our own State and part of an incredibly powerful local, state and federal lobbying hub. We are only miles from what used to be a world class airport. We are surrounded by governmental, academic, and business powerhouses that drive local, state, national and global economic progress. PARTNER! 2. What do you value or respect about our university? We have traditionally kept a promise to offer a unique experience to a swath of the populace that values community, engagement, and connectedness. Remember that your constituency includes more than students, faculty and staff. NKU is a member of a very vibrant community that is both much smaller and much larger than you could fathom all at the same time. 3. What are the most important issues that our university must address? A) College is growing more expensive than many perceive it to be worth and the trend is not slowing. This local community is very responsive to elasticity in the market and you’ll fall short of your need to engage local students and constituents if you do not make the right strategic decisions about tuition. B) In a global economy, we need to consider strategic partnerships that help us contribute to more than our own state’s economic growth. Specifically, we NEED to recognize that we have a seat at the table when it comes to Greater Cincinnati. We have more of an impact on that region than we give ourselves credit for and the regions’ success impacts us more than we’ve traditionally been willing to admit. 4. How would you characterize the university’s relationship with the external community? We NEED the community and the community NEEDS us. I’ve talked a lot about community in the above posts, so I’ll leave it to this. We need to get laser focus on delivering an experience each and every day that encourages people who have been touched by those experiences to share a positive story with those they touch. I’ve recently been through some training where the Disney Institute came to talk about their commitment to service and I believe there is a lot that the family at NKU could learn from them. 5. 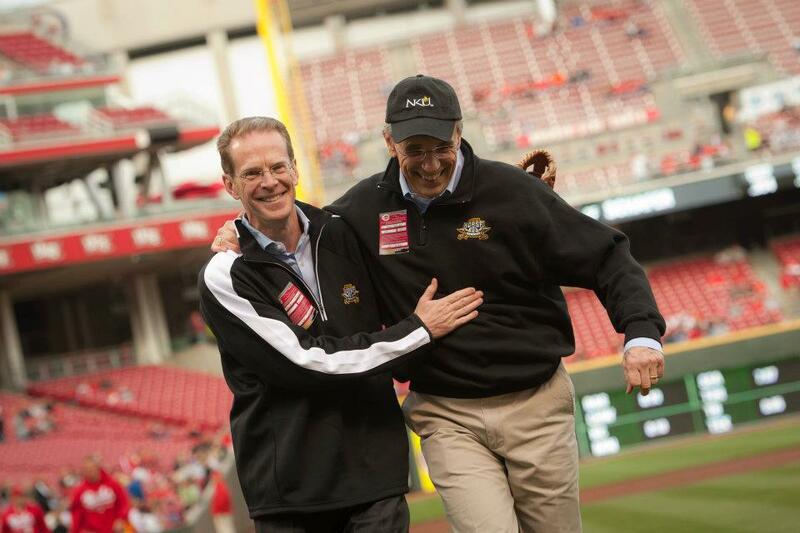 What advice do you have for me as the new president of NKU? Be real, transparent and authentic, be reachable, be socially aware, be connected and be joyful. If you can do all of those things you will change the way people think about this university. One very important steps that I think you could take is to be active on Social Media. Note I’ve recently sent a bit of encouragement through #Twitter to the @NKUDevelopment team. I highlighted the steps that the University of Cincinnati’s Interim President Santa J. Ono (@PrezOno) has taken, recently. This should serve as inspiration! I am very excited about the opportunity you have to shape the future for Northern Kentucky University.